One of the world's premier keelboat classes makes its debut in one of the world's top yacht racing venues this month with the Audi RC44 Porto Cervo Cup, taking place over 16-21 June. While in their eight-year history the RC44s have regularly visited Cagliari in southern Sardinia, this will be the first time the Class has been hosted at the luxury destination established by His Highness the Aga Khan on the Italian island's north-eastern tip. 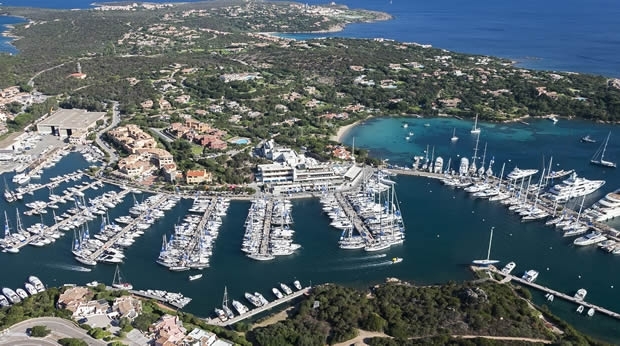 Over the years, the famous azure waters off Porto Cervo have seen racing for most of the leading classes of yacht, however the venue is particularly renowned for its maxi and superyacht events, all run by the exclusive Yacht Club Costa Smeralda. The Audi RC44 Porto Cervo Cup will see a return to the Tour of Hugues Lepic's Aleph Racing, the French team increasing the fleet to 12 in number. However for this season, she will feature a modified crew line-up, led by America's Cup winning helmsman Ed Baird, the American skipper who last year took Synergy Russian Sailing Team to victory in the RC44 Match Racing Championship. Having shown strong potential in past seasons, Lepic wants to take a fresh approach to see if his team can improve. "Really it is an experiment for him," explains Baird. "He is looking for something that is going to help the team climb the ladder. He had a lot of good guys on the boat and they worked really hard. For me, from off the boat, I always thought they sailed very well, that it was a good boat that was always strong. Yet, looking at the results, they weren't getting the numbers." Baird is bringing on board a few of his 'own people' to integrate with the existing Aleph Racing crew, including legendary four time America's Cup winning mainsheet trimmer Warwick Fleury. As Baird explains: "We are mixing around a couple of different guys, trying to see if we can 'break the spell' by trying something different. We are looking forward to seeing some results that will make everybody smile." Personally Baird is looking forward to his return to the RC44 Class. It is a boat he enjoys racing: "It sails well, it does a lot of things well. And there are a lot of active teams that sail the boat at a similar level. There are really pleasant teams and owners who enjoy very close racing – it is a great circuit." Following his victory at the RC44 Valletta Cup in March, Nico Poons and Charisma have taken an early command of the RC44 Fleet Racing Championship. Accompanying this is Poons relieving Chris Bake's Team Aqua of the Championship leader's 'golden wheels' which will be fitted to Charisma for the Audi RC44 Porto Cervo Cup. Poons is eager to return to the race course after a three month break. "I'm looking forward to Porto Cervo," says the Monaco-based skipper. "Porto Cervo is a well known place for sailing in the Mediterranean – in fact it is THE place for sailing in the Mediterranean. I hope we have a lot of fun there as well." Returning as Tactician on Charisma is Emirates Team New Zealand's Ray Davies, who added: "Porto Cervo is just a stunning venue. We've sailed there a lot of times and you can have big breeze there, just as we had in Malta. The guys are really looking forward to it. We love sailing there." Team Nika finished second in Malta and her owner, Vladimir Prosikhin, is looking forward to some more tight racing in Sardinia. "Porto Cervo is a great place. We are anticipating that the conditions there will be similar to Malta, but with flatter water. The big waves in Malta made it a bit challenging."